Camp Hearne is situated near the Brazos River, the longest river in Texas. 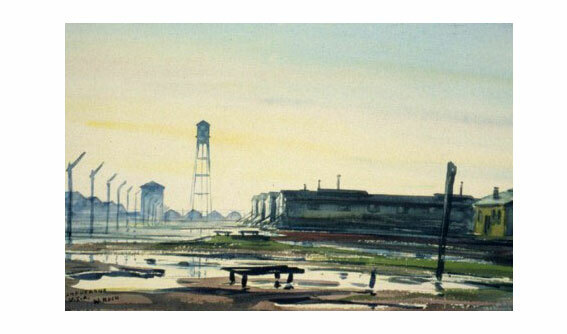 German Prisoners of War painted several views of the camp. 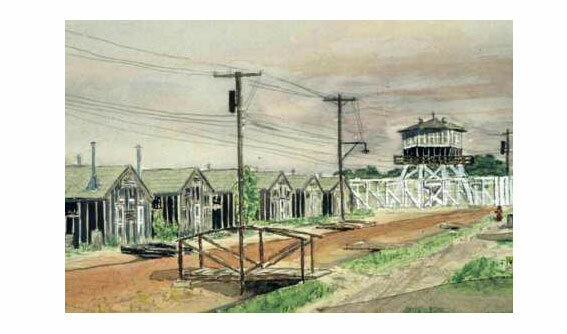 Another view of the camp, painted by a German prisoner of war. 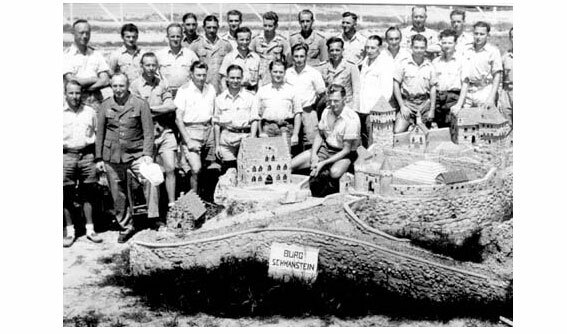 German Prisoners of War built a replica of a Bavarian castle during their time at Camp Hearne. 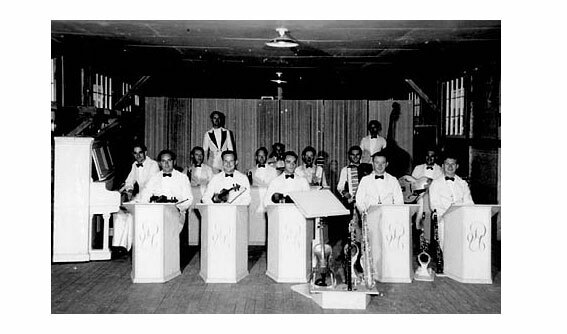 German Prisoners of War staged a formal orchestra during their stay at Camp Hearne. 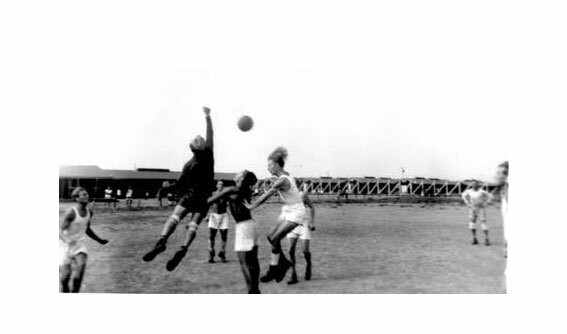 German Prisoners of War playing soccer at Camp Hearne. 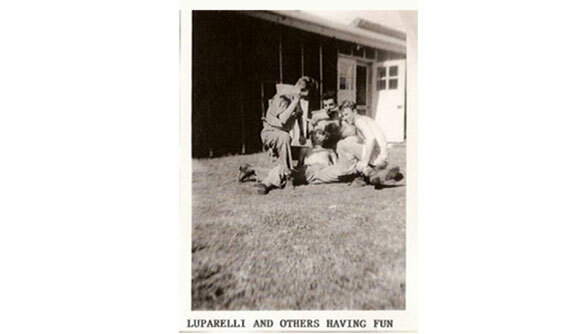 Starting in 1942, over 400,000 German, Italian, and Japanese prisoners of war arrived in the US from the battlefields of North Africa, Sicily, and Italy, and were held in 500 prison camps across the country. Camp Hearne was one of them. This website tells its story. 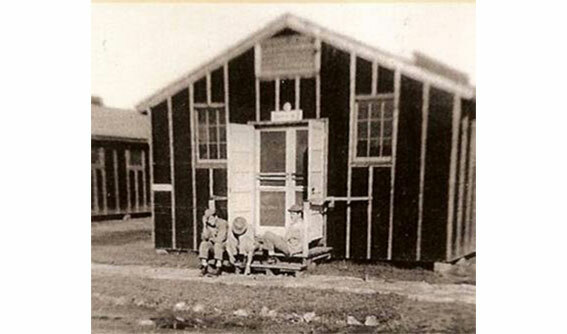 Camp Hearne was a World War II Prisoner-of-War Camp located north of Hearne, Texas. Hearne is located 20 miles northwest of the Bryan-College Station metroplex. After the 1942-43 US troop build up and successes in North Africa and Italy, the ships carrying our soldiers to the European theater returned to the US with a different cargo… an estimated 425,000 prisoners-of-war. Hearne was chosen to house 4,800 of these prisoners in its POW base camp due to its flat terrain, distance from the coastline, railroad access, sparse population and local need for farm laborers. 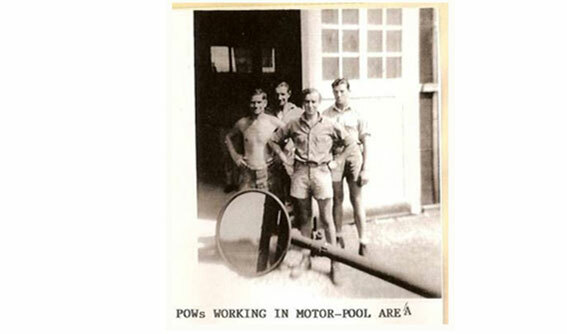 Honoring the Geneva Conventions, the US Army treated POWs well, providing ample food, shelter and clothing. 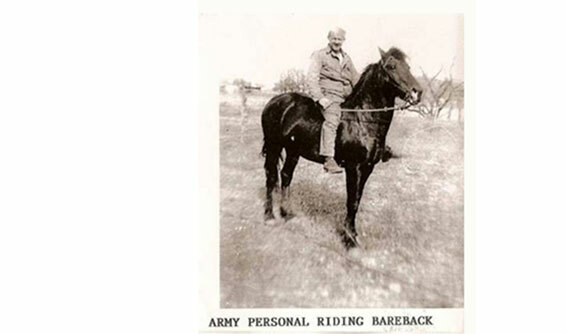 Since work for a fair wage was only required of the enlisted men, various recreation and education programs were offered to the prisoners who were non-commissioned officers. The prisoners built a theater and put on plays, painted pictures, created sculptures and fountains, and played soccer to pass the time. Today’s historic camp site has many building foundations that outline the camp’s original “footprint” as well as remnants of various prisoner built amenities such as garden fountains and a stadium-seating theater with orchestra pit. An exhibit depicting the daily life of the Camp’s mostly German prisoners may be viewed in a reconstructed US Army barrack on the historic site. 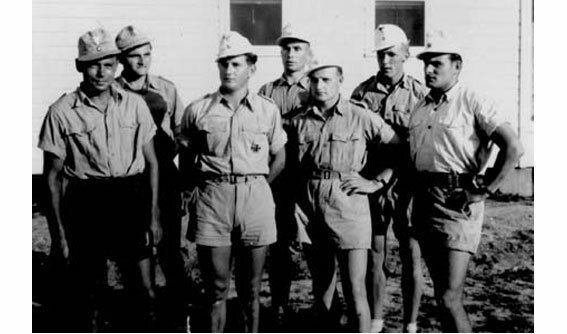 Camp Hearne is a truly unique window into the United State’s homefront experience during WWII.